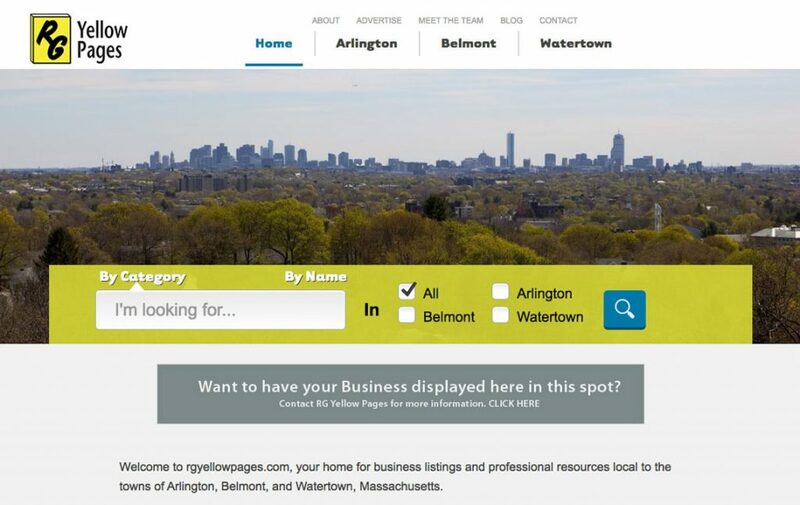 RG Yellow Pages is a local phone book company that has provided professional resources and business listing for the towns of Arlington, Belmont, Watertown and Waltham for the past 50 years. 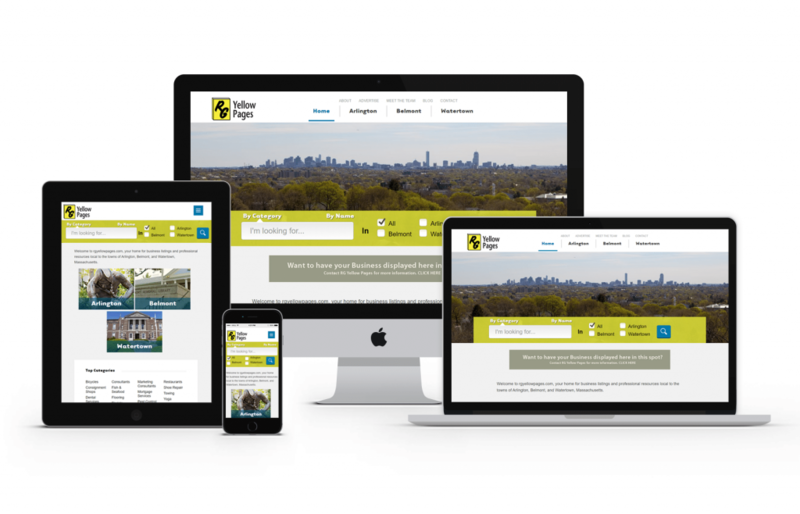 In the fast-paced, technologically savvy world we live in, RG Yellow Pages offers both the traditional bound book filled with pages of local resources, as well as a dynamic, user-friendly website that cuts through layers of search results to give you just the local listings you need. GoingClear Interactive helped RG Yellow Pages enter the digital age by assisting with their web design and web development, online revenue modeling, custom listings management module, Internet advertising strategy and ad placement. The Home page contains an easy to use search bar and there is a custom module built for serving ads at key areas throughout the website. The new RG website leverages WordPress as the platform CMS (Content Management System) and is fully mobile and tablet friendly, leveraging Bootstrap for the responsive framework so searchers are guaranteed to have a flawless experience on any of their devices. This is especially important for a brand like RG Yellow Pages!